Today is the day for HTC. After a long and painful transitional period, HTC is now ready to begin anew in its life as a smartphone company. Today is the day when HTC will (most probably) announce the new HTC One - its new flagship Android smartphone. We've already heard a lot about this new smartphone, we've seen many leaks, and we have an almost complete idea about what it's going to be. However, we think it'll be best if we leave it to the HTC team to do the official introduction. After all, we wouldn't want to steal their moment. Starting at 10AM Eastern | 9AM Central | 8AM Mountain | 7AM Pacific and 3PM GMT, Peter Chou and company will take the stage to walk us through their latest and greatest invention. Be sure to stay with us, as we'll be bringing you all the details as they come out with the liveblog that can see below. Enjoy reading it, and don't forget to share your thoughts about the new device with us! 10:03 That's a wrap, guys. Thanks for being with us, we hope this liveblog was informative. Stay with us, as there's more HTC One coverage coming! 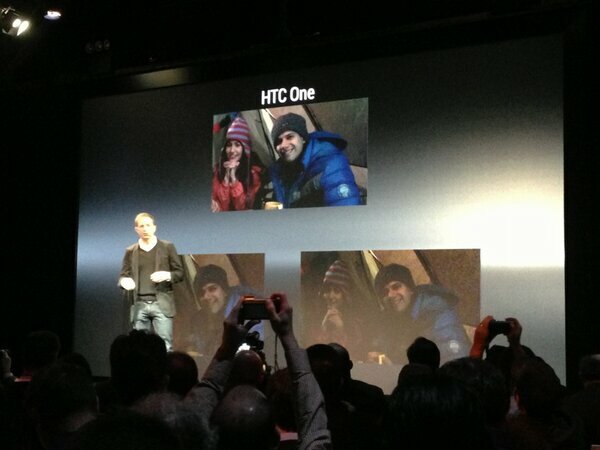 10:01 HTC One will be available starting in March, with pre-orders starting today! 10:00 The One will launch in over 80 countries around the world, through over 185 carriers. 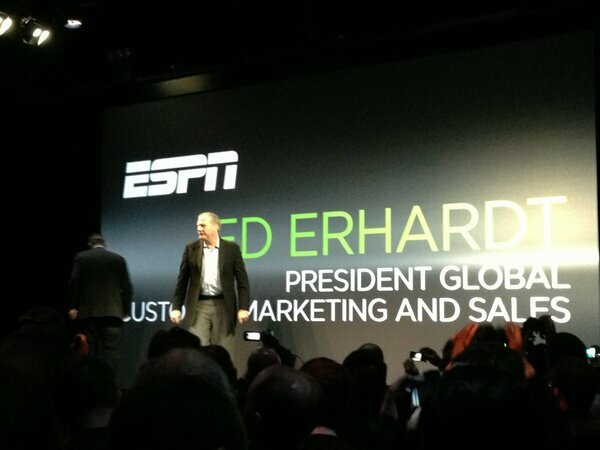 09:59 We'll now learn when the HTC One is going to hit the market. 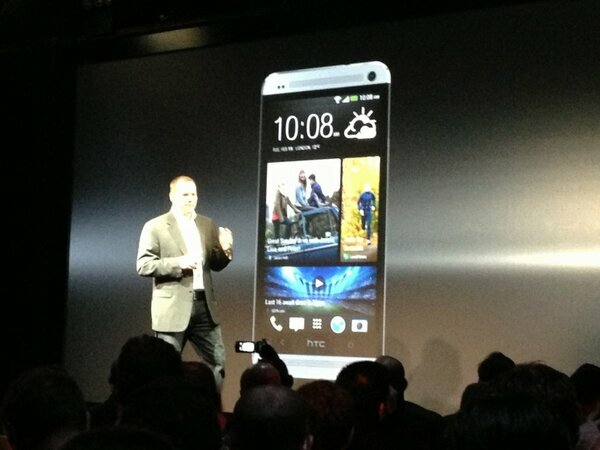 09:58 "The HTC One is the definitive smartphone of 2013." 09:57 Now we're looking at a video about the complex build process for the HTC One. We do realize that this is one very, very hot phone. 09:56 The antenna has been integrated with the aluminum - a great innovation according to HTC, though Apple has had it for quite some time now. 09:55 "The new HTC One is simply the most beautiful phone ever made." Year, right. 09:54 Think: each time you take a picture, it takes 3-second clips, and then stitches these clips into a full movie. 09:54 They now showed us a demo video made with those "Zoe" clips, and it looks wonderful. 09:52 It's like an automatic video editor app. It will be able to automatically create cool videos with music and transitions from your content. 09:51 The gallery will be taking your Zoes, pics and video to create the so called "highlight movies". 09:51 Zoe captures an image and short video at the same time, attempting to bring your gallery to live. 09:50 HTC is introducing a brand new experience called HTC Zoe. 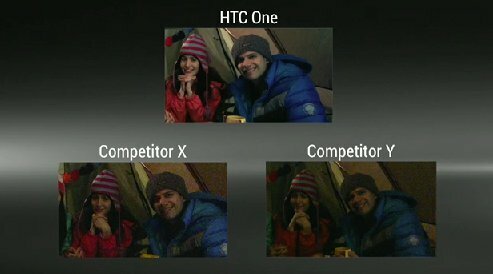 09:49 These pixels should be able to capture up to 300% more light than conventional pixels - a giant leap in what's possible, according to HTC. 09:48 "We developed this new technology, called the UltraPixel camera." 09:47 And now they are rolling a video about the special camera technology in the new phone. After that, we'll learn more about the UltraPixels! 09:46 "For years people have been misled. What matters is not pixel count, but pixel size." 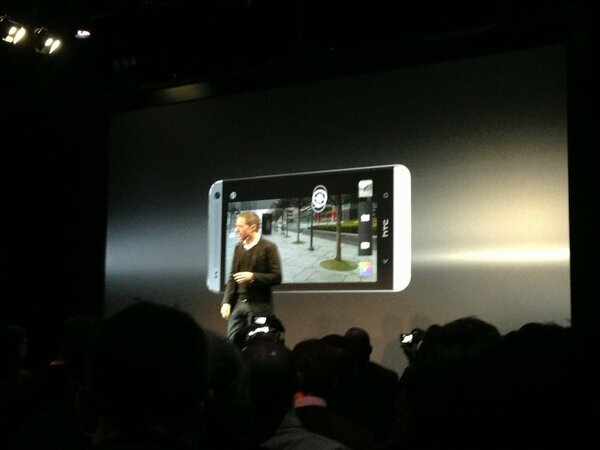 09:46 "The camera experience on the new HTC One gives you a true breakthrough." "We started with an entirely new approach to camera tech." 09:45 "Last year, our camera experience focused on making it fast and easy." "The new HTC One makes those experiences even better." 09:43 Sounds like the real-time EQ in the Samsung Galaxy S III. 09:42 A new feature in the music player is the Visualizer. What it does is to display the lyrics of the song you're currently playing. Neat stuff. 09:40 However, with HTC BoomSound, that should be a problem of the past. But we'll see about that. 09:40 "Let's admit it, speaker performance on smartphones is actually pretty awful. The sound is thin and distant." 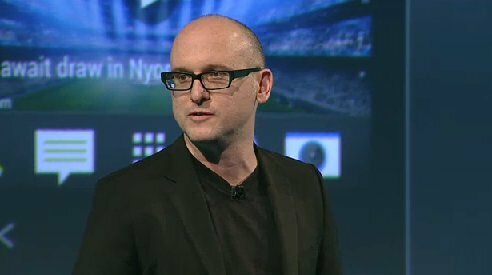 09:37 Scott Croyle is now on stage in London to talk about the design of the handset. 09:37 Another feature: HTC Sense TV will let you use the One as a universal remote control thanks to its IR blaster. 09:35 In addition, the phone will support HDR sound recording through the dual microphones, so stuff that you record with the One should be great. 09:34 HTC BoomSound will be a new technology that will be powering the whole sound experience. With the two speakers, amplifier and Beats Audio. 09:29 It's like a livestream with all kinds of stuff - messages, social updates, news, images, etc. All presented in a cool interface. 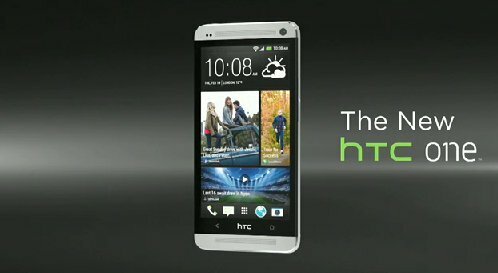 09:28 The homescreen experience of the HTC One will be centralized around a new feature - BlinkFeed. 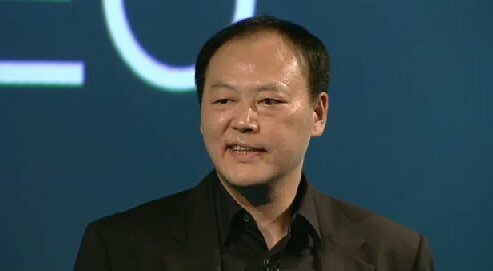 09:26 Meanwhile in London, CEO Peter Chou has just come up on stage. 09:25 It has two stereo speakers positioned on the front, which should deliver some pretty powerful audio. And there are two capacitive keys. 09:24 So here's the deal - the One is an all aluminum phone - has a unibody construction - typical top-notch HTC build quality. 09:23 "I'm proud to introduce you to the new HTC One." 09:21 And we're off! 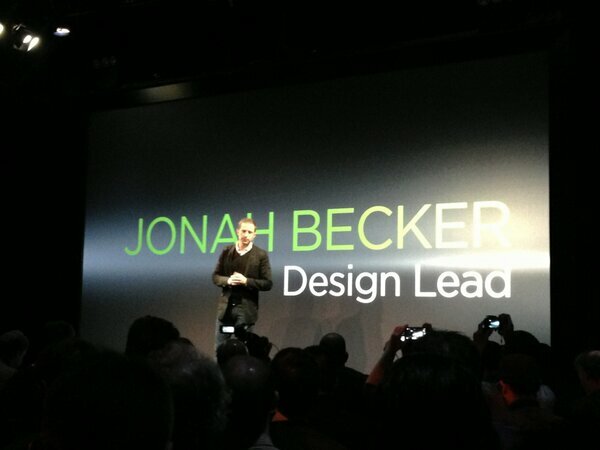 Jason MacKenzie, HTC President has taken the stage! 09:14 It looks like some members of the press are still to make their way in, so it looks like we'll have to wait a few minutes more. 09:07 Just in case you're wondering, it's Mr. Ray S. doing this liveblog for you. 08:58 It's time, people! Just a few minutes left and the event will begin. 4.8" Full HD Screen, Quad Core processor, Better UI and (please) WAY BETTER battery life! HTC One m7 video http://www.youtube.com/watch?v=BbTNSNfnm2A It not only looks like WP8 is also behaves just like WP8! Bad or good move from HTC ? Bad move, imho. Ugly phone as well.. One X looks way better! That would be a MAJOR turnoff for me. If I wanted a WP, I would buy a WP. Especially considering that HTC won't give any support to xda to help get rid of that crap. Looks like the launcher is WP8 style. Terrible, just terrible. It was a widget .-. Low light photos comparable to Lumia 920, day time to GSII and iPhone 5. Plus everything @diego! said especially the battery life and OS points. By GSII I meant GSIII. I wish the design was closer to the One X, it looks a bit uninspired now. Lots of storage and big battery with the thought that there will no replaceable battery or expanded storage. It looks like an iphone now. I don't understand why they would go this direction. 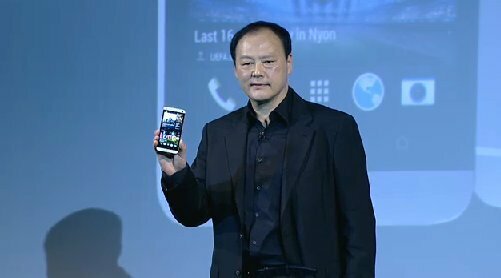 Great screen (not like Z), may be Snapdragon 800 (*wink), great battery optimization, and above all, GREAT CAMERA!!! The 4.3mp camera is in a set of 3. So more like 12.9mp. After the long wait, this is all HTC has to offer? Sense 5 = WP-like tiles? seriously... If I wanted live tiles, I'll buy a Nokia.. HTC, thanks but no thanks..
Yeah, this has got to be the dumbest attempt by HTC ever. It looks like a fat iPhone running a WinPhone OS. Well, thanks HTC for making my decision to not continue supporting you even easier. Oh, and how sad is it that it releases with 4.1.2 instead of 4.2.1. I can understand not having 4.2.2, considering it just dropped, but it shouldn't have a .1 increment less at launch than the current OS. Great job HTC. Bravo. Xperia Z have a bigger battry life. That 2300 mah battery is going to be too small even with the more efficient processor. At this point if the device has the same dimensions as the Maxx HD and an SD card that will mean that HTC has failed to listen to the consumers once again. Ill have to wait and see what the S4 and X phone have to offer. Nothing wrong with the battery life on my DNA and it has a larger screen and smaller battery, so I disagree with you there.